A key element of our growth strategy is to identify therapeutic areas that are specialised in nature and a good fit with existing operations. In line with this strategy, we acquired the AstraZeneca and the GSK anaesthetics portfolios in 2017 which presented an opportunity to leverage both our existing sterile manufacturing capabilities and our hospital focused sales force. In November 2017, we acquired the remaining rights to the intellectual property and manufacturing know-how related to the AstraZeneca portfolio. We believe that increased control over the supply chain will enhance our ability to achieve manufacturing synergies and thus support earnings growth. Our diverse product range includes general anaesthetics, muscle relaxants as well as a number of local anaesthetics including topical agents. 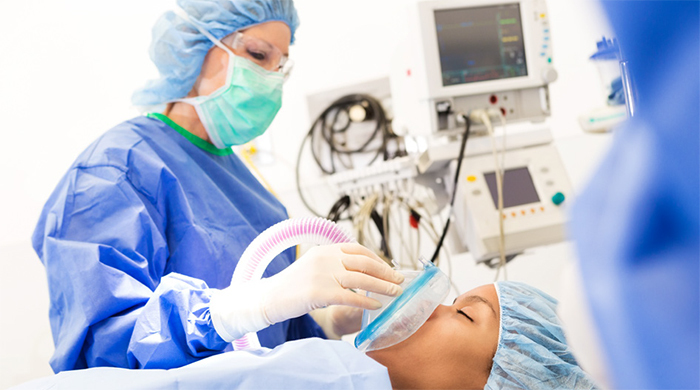 Anaesthetics revenue grew 21%, benefiting from the full year inclusion of the anaesthetics portfolios acquired during the course of the prior year. Revenue of R8 332 million was recorded with the largest contributions coming from Developed Europe (R2 170 million), China (R1 779 million) and Japan (R1 213 million). We are satisfied with what we have achieved so far with this portfolio given the supply constraints we faced as a result of disruptions in AstraZeneca's production network. Developed markets contributed 53% to revenue and grew 16% compared to the prior period. Developed Europe revenue was R2 170 million, up 25% from R1 732 million in the prior year. While the growth of the anaesthetics portfolio acquired from AstraZeneca was impacted by the aforementioned supply constraints, the performance of the portfolio acquired from GSK (particularly the Ultiva brand) exceeded our expectations. This achievement was attributable to a number of commercial initiatives which included co-promotion and digital campaigns. 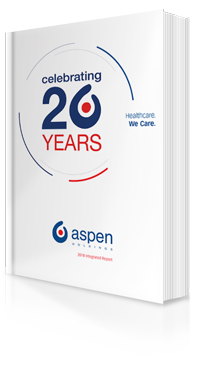 Revenue in Japan benefited by approximately R200 million from a one-off loading of the trade with product in Aspen packaging. Volume growth in Japan was positive, however this was offset by the negative impact of ongoing regulated price cuts. Emerging markets contributed 47% to revenue and grew 27% compared to the prior period. Positive performance was driven by the Asia, Latin America and Developing Europe regions. Revenue from Asia (excluding Japan) grew 32% to R2 437 million for the period. Performance in China was particularly strong driven by Diprivan and Naropin volume increases. The positive result in China is a testament to the significant investment we have dedicated to promotional activity and optimising sales force effectiveness in that country. China is the most important catalyst for growth in Anaesthetics with the impending launches of EMLA and Nimbex providing further impetus. Performance in Japan will be impacted by ongoing price cuts and our efforts will be focused on offsetting this negative impact through volume growth. We will continue to explore opportunities for growth through the implementation of commercial strategies aimed at highlighting our broad portfolio of products with a strong brand heritage. Developing and training a highly skilled and confident sales forces is key to the growth of the Anaesthetics portfolio across regions and across brands. We anticipate that supply from AstraZeneca will normalise in the second half of the 2019 financial year which will support commercial efforts aimed at first stabilising then growing this previously declining portfolio. Following the acquisition of the supply chain rights to the AstraZeneca portfolio, we have commenced the process of repurposing and preparing our key sites in South Africa and Europe for the manufacturing transition of the greater part of this portfolio over the next three to five years. This will minimise the risk of being overly reliant on external manufacturers for the supply of products within specification and required timeframes.